For Cairo Protesters, 'The Revolution Is Not Over' : The Two-Way The protesters who have flooded into Tahrir Square again say the new leaders are the same as the old leaders. 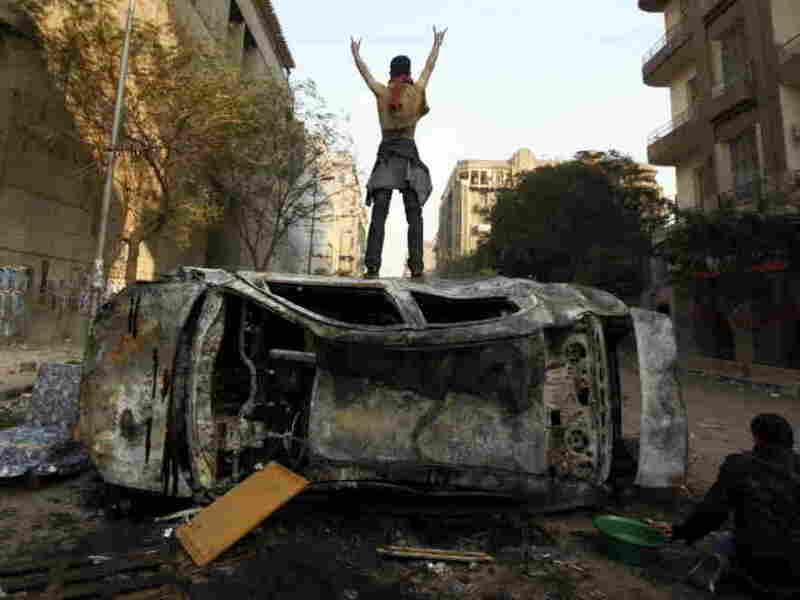 Earlier today a protester stood on top of a burned car in Tahrir Square in Cairo, Egypt. "Want an acknowledgement that what has been happening" — continued repression of speech, jailing of critics and crackdowns on dissent — "is a continuation of [former President Hosni] Mubarak's regime; that, in fact, the revolution is not over." Neither side appears willing to budge, Soraya adds.